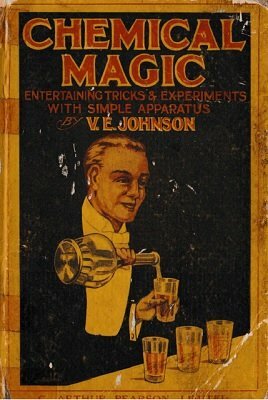 This ebook describes a host of chemical experiments which can be presented as magic tricks or surprising science experiments. It is a reproduction of an old book and therefore some of these experiments require exotic chemicals, some of which are toxic or can be harmful in many other ways. If you intend to replicate any of these experiments you must follow all laws and regulations and you are on your own in terms of any liabilities. We are reproducing this book for historic and information purposes. 1st edition 1920, 118 pages, PDF 79 pages.